The highest mountains, the steepest valleys, imposing landscapes, beautiful portraits, wild nature, still life or any other impressive photographic work – whatever your camera captures, it is surely worth being presented accordingly. Whether you do photography as a hobby or professional, if you are looking for great photography WordPress themes to showcase your awesome work, impressive art and client projects, you could have a look at our hand-picked collection of the best photography themes for WordPress to find suitable website templates for photographers and other creatives. WordPress themes specialized in displaying images and photos should always have certain features to showcase visual content accordingly. Retina readiness is one of those key features – retina ready means that your images will be displayed pixel sharp and clear on HD screens. Another key feature is responsiveness. 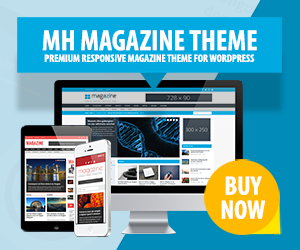 Your photography WordPress theme should be fully responsive so website visitors accessing your site from mobile devices can still navigate your page with ease and see your valuable content well-organized and have a look at your awesome artwork. There are several ways to present photography and images on your website. You could display images via sliders with special effects or just make use of simple slideshows and you could likewise display photos via photo galleries. Depending on what you prefer, make sure your favorite photography WordPress theme provides such features or compatibility with plugins which you can use to add this functionality accordingly. In any way, photography WordPress themes should be able to present photography in an impressive and appealing way. Core Minimalist Photography WordPress Theme is fully in favor of photos, pictures and images. The beautiful layout of this WordPress theme pleases any kind of photography, be it artistic, abstract, portraits, nature or else. Great features like a full screen slideshow for a photo gallery or different custom widgtes place your works in best light….